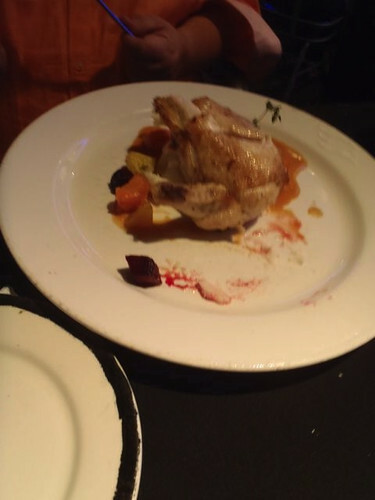 The Show Dinner at the Animator's Palatte is the best dinner on the cruise. 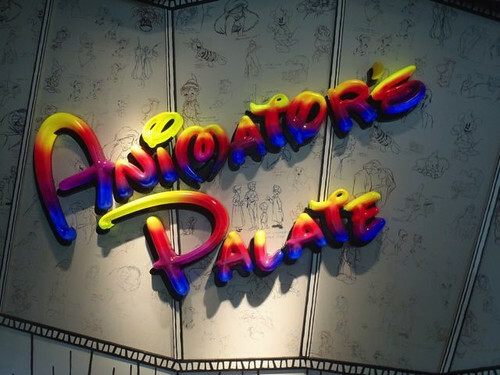 You can enjoy the restaurant in black and white during other theme nights you end up in Animator's Palette, but it is the Show Dinner that is the ultimate. 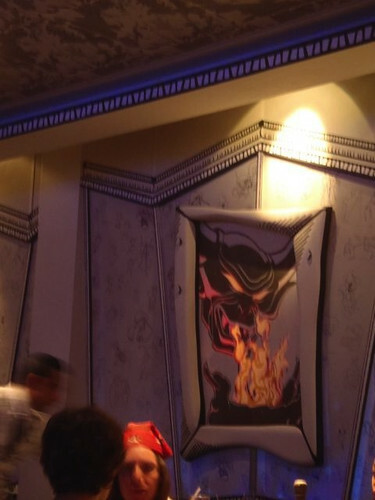 When dinner starts the room is black and white, but as you dine different themed music plays and the related movie scenes around the room are illuminated in color. The scenes change on the ones that are screens. Around dessert time, the servers all go in the back and turn there vests around to the color pattern. 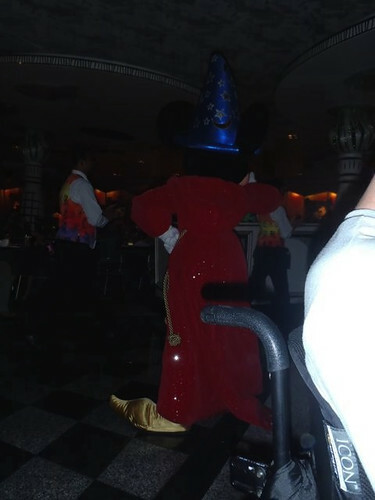 They then all come out with Sorcerer Mickey and parade around the dining room. 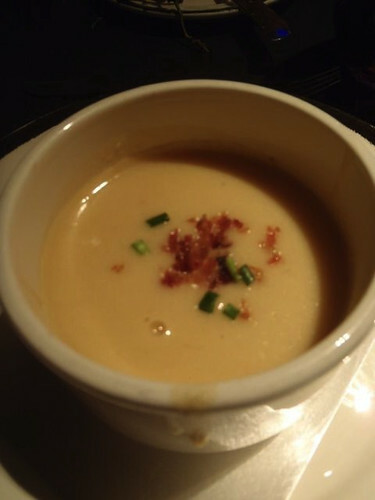 Mik enjoyed the Baked Potato and Cheddar Cheese Soup. He especially liked the bacon bits in it. I enjoyed the Creamy Butternut Squash Soup. For the main course Mik had the Lemon-Thyme Marinated Chicken Breast, which he liked. I had the Stir Fry Veggies, which were kind of bland. The fried noodles were particularly annoying because they were all stuck together. Would be better with regular noodles or rice. Mik had the Double-Fudge Chocolate Cake, which he thought was really good, for dessert. 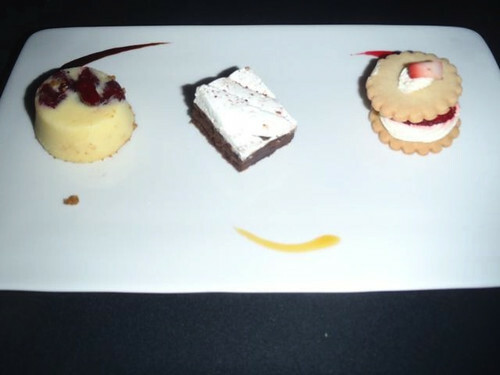 I had the Animator's Sweet Temptations, which included Strawberry Sable, Cranberry and Orange Cheesecake, and Double-Fudge Chocolate Cake. They were all good, especially the cheesecake.